Depreciation is the loss of value over time. Assets often lower in value over the years due to wear and tear. For the average individual, this is most commonly seen in cars and trucks. However, depreciation plays a major part in a lot of finances. Business owners in particular should pay close attention to depreciation because the loss of value in their business property and assets can often be written as a tax deductible. There are four types of depreciation methods, each of which can play a key role in your business finances. These methods for calculating depreciation can help you to make better business decisions when it comes to buying things, so let us take a look at the most common out there. The units of activity method, also known as units of production, is a unique depreciation method because it is the only commonly used one that focuses on use rather than time. With this format you will assign a fixed expense to each unit produced or each service rendered by the asset. Years and accounting terms are not reflected in this method. Instead, the asset’s cost is allocated to the accounting periods based on the use or activity. Hours of services depreciation is a method that is similar to the units of production depreciation. However, instead of accounting for each unit produced, you account for total service hours used. This means you assign a cost to the hours of service. Then, you calculate the total hours of service used during a particular accounting period. This depreciation method is not nearly as commonly used as the next one on our list though, which is used by many smart bank clients. 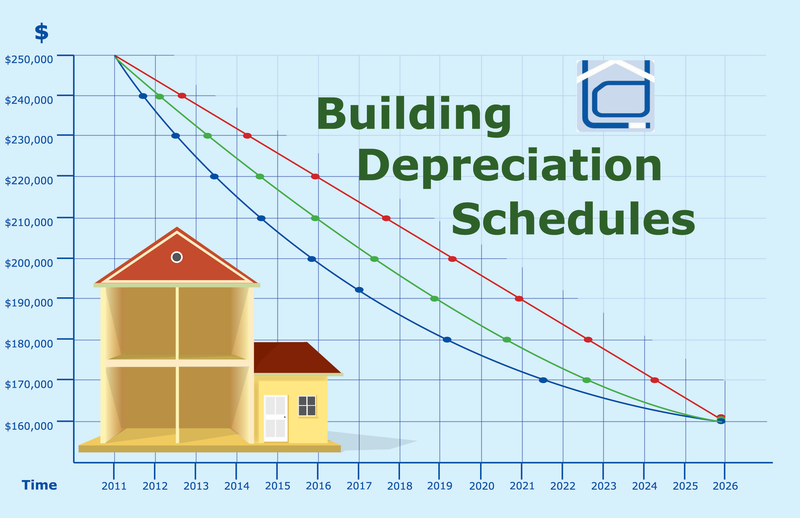 Straight-line depreciation is the simplest and most commonly used depreciation method. This type is calculated by taking the purchase price of an asset, subtracting the salvage value (how much it can be sold for by the company when they no longer need it) and dividing by the total of productive years that it was in use. The outcome of this equation can be represented as a straight line on a graph. The asset loses an equal amount for each accounting period. For example, if you had a $10 lamp that you would later sell for $1 after 5 years, the depreciation value would be $1.80 per year. It is important to know this type of depreciation method so that you can keep track of these simple changes. The declining balance method is a form of depreciation that represents an acceleration of loss each accounting term. With this method, an asset’s value decreases at a constant rate rather than a constant amount. This means that the amount will fluctuate according to the item’s current value. Most often, owners will calculate this form of depreciation by charging a higher rate at the early part of an asset’s life. For example, a 50% rate would cause the $10 lamp’s value to drop to just $5 in the first year alone, rather than dropping to $8.20 as with the straight-line depreciation method. As the value gets smaller, so does the amount that the value is reduced by. That same 50% rate will only reduce the second-year lamp’s value by $2.50 and so on. This is one of the best prospecting tools to consider. The sum of the year’s digits method, like the declining balance and straight-line methods, is deduced by time. This type will compute the depreciation expense of an item by adding all years of the fixed asset’s expected useful life and comparing the total number of years against the year you are currently in. Like the declining balance method, this is a form of accelerated depreciation. There are numerous depreciation methods in existence. The four above however, are the most commonly used types. Remember to refer back to this post when you are learning about depreciation methods and how they can help your business. It will certainly help you to beat out business competition that do not make use of this handy financial tool.